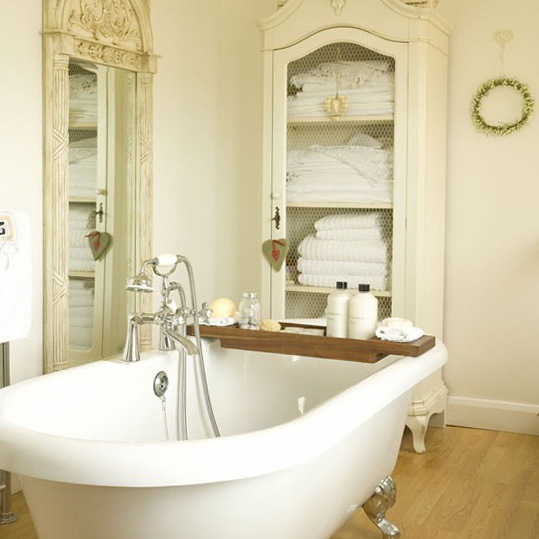 This inviting country-style bathroom features a compact built-in bath in an all-white scheme. White towelling accessories and flowers soften the look. 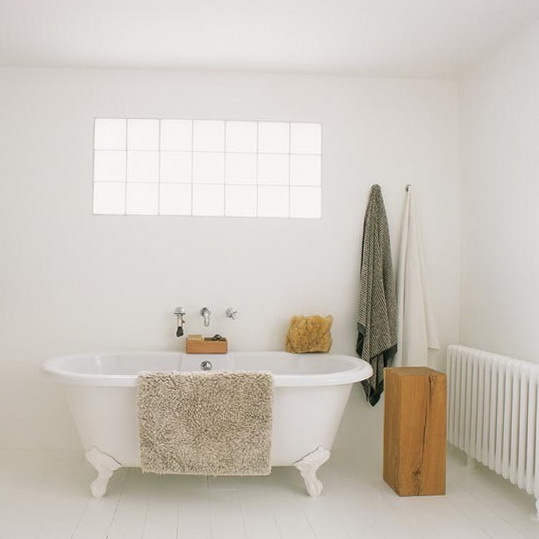 Make a statement with a sleek, all-white scheme. 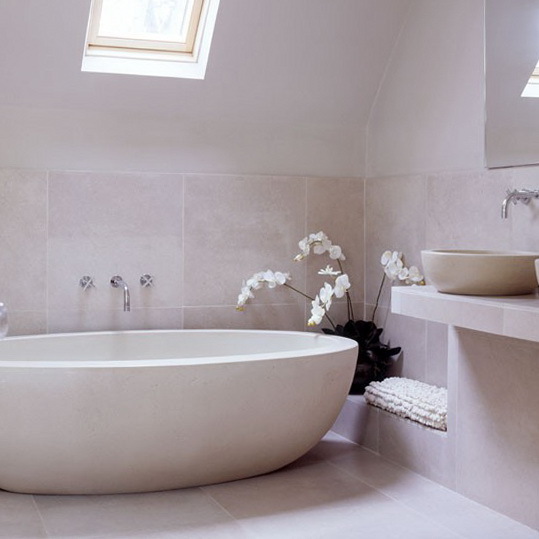 This room perfectly blends contemporary and traditional with its minimalistic plain white walls and an elegant roll-top bath. 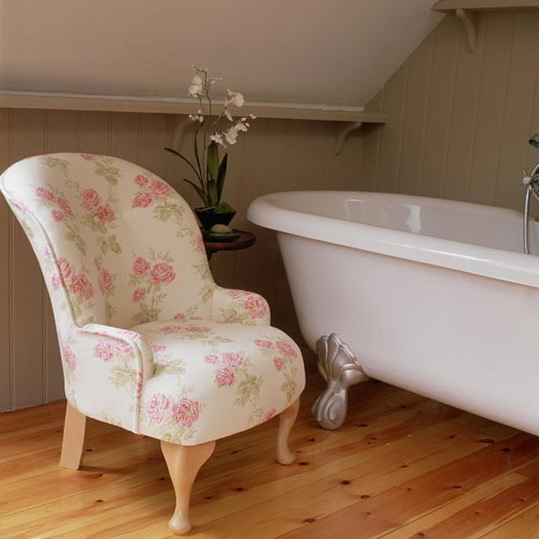 Create an elegant air in a simple bathroom by adding a whimsical floral armchair – perfect for injecting gentle colour and style to a traditional scheme. 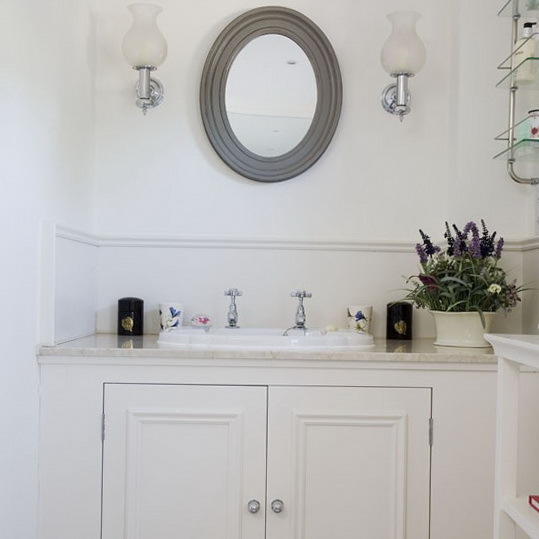 A practical vanity unit strikes a formal air in this bathroom, with a Venetian-style mirror and a pair of wall lights adding an elegant touch. 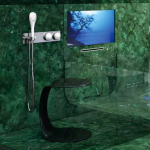 Try using stone throughout a traditional bathroom to create a sense of cohesion. 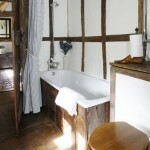 In this attic bathroom, a striking pebble bath takes centre stage. 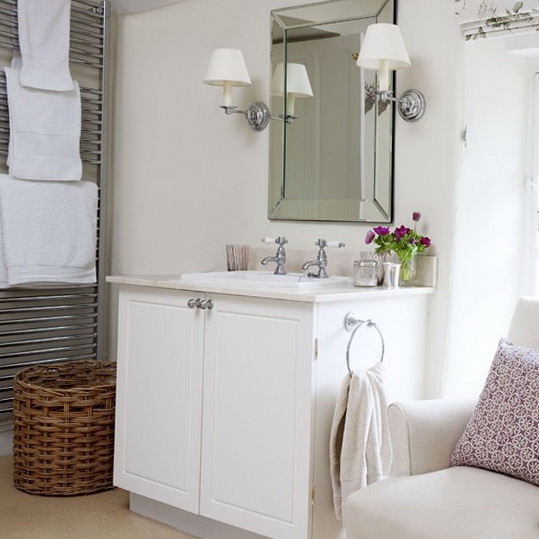 In this simple country scheme, traditional tongue-and-groove panelling, a freestanding vanity unit and a smart white shower curtain create a rustic feel. 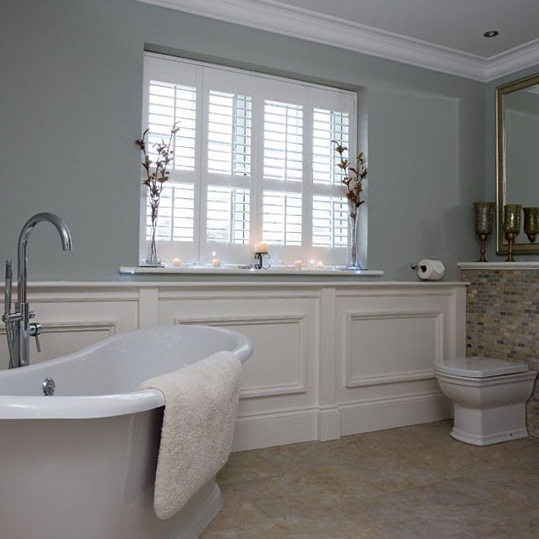 White shutters, wall panelling and an elegant roll-top bath lend a traditional note to this scheme, while pale blue walls add interest. 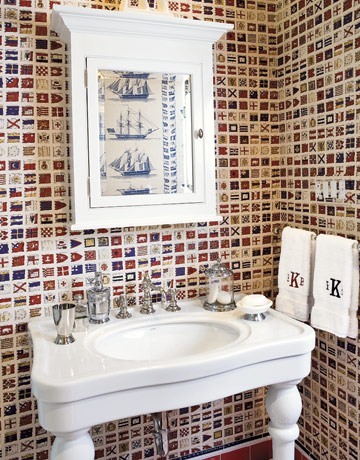 We love the tres chic style of this French-inspired bathroom. 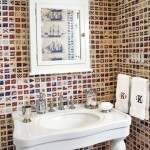 Try adding a wire-fronted armoire and an over-sized mirror to create Gallic charm in a traditional bathroom. 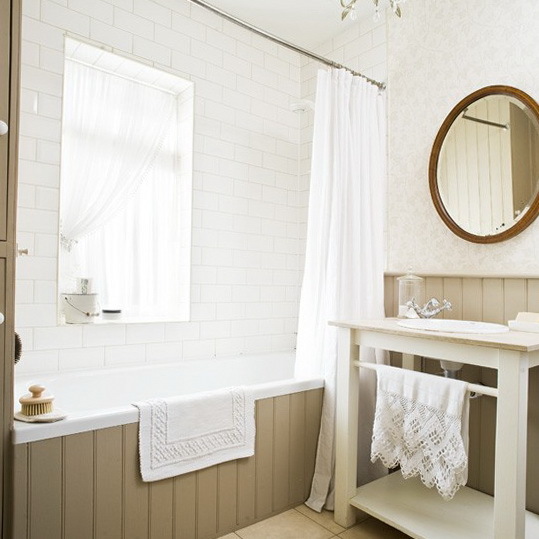 In this compact bathroom, a fitted unit topped with a marble counter creates a timeless feel. 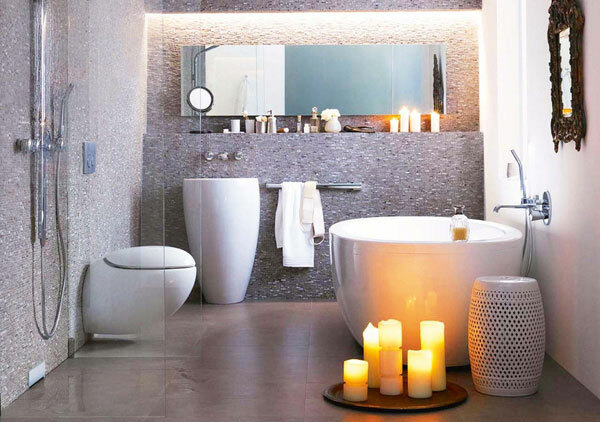 A grey oval mirror and simple wall lights add an air of elegance. 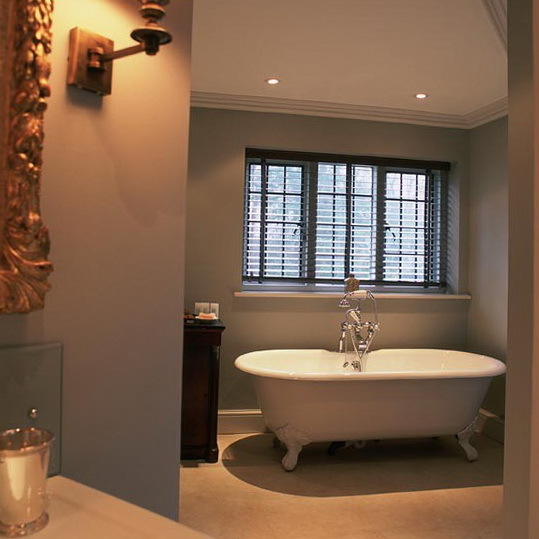 In this traditional bathroom, a claw-footed roll-top bath, dark shutters and a gilt mirror add a glamorous edge. 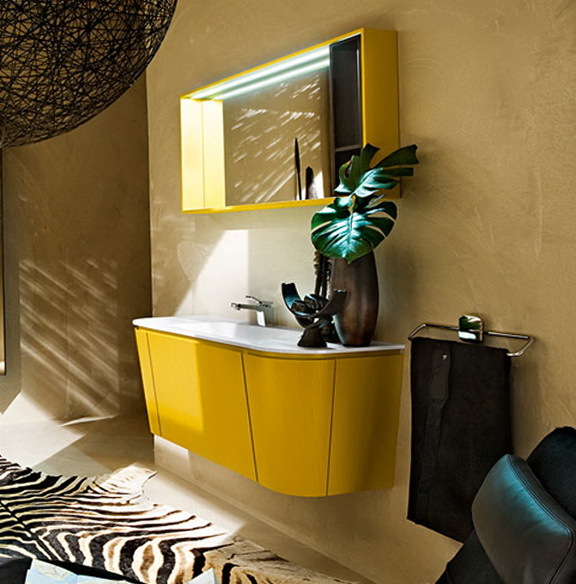 Grey-painted walls strike a contemporary note.